The United States Interior Department’s Bureau of Ocean Energy Management (BOEM) has proposed and developed14 new offshore drilling leases for 2017 – 2022 which are located in the Gulf of Mexico and several coastal areas in the Mid and South Atlantic regions. Offshore drilling refers to the extraction of oils and natural gas hundreds of feet deep from the sea bed through wells. Undoubtedly, offshore drilling is paramount in meeting our current demand for energy, contributing to a third of our total oil and gas extraction (Worldoceanreview, 2014). This translates to affordable oil prices on the market, and delays the time until we run out of available reserves. 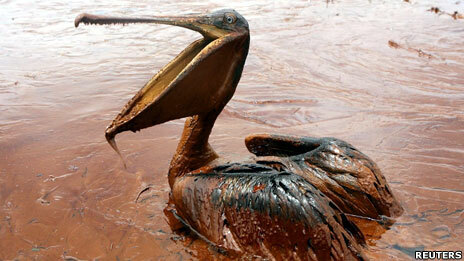 However, the accidents resulting from offshore drilling poses a high environmental risk to the marine biodiversity. 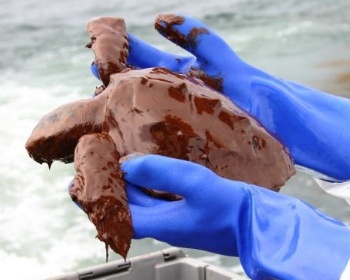 In 2010, the world’s worst BP Deepwater Horizon Oil spill polluted 1000 miles of the coastline, and had caused the death of more than 8000 marine animals including turtles, birds and mammals (Paquette & Gutierrez, 2013). NOAA scientists reports an estimated leak of 5,000 – 6,000 barrels per day from the broken well, and engineers only managed to put the plug to the leak after 87 days (Graham, B. et. al., 2011). 28 protected species of marine mammals that live in the Gulf include 6 that are acknowledged as endangered under the Endangered Species Act, they are sperm, sei, fin, blue, humpback and the North Atlantic right whales (onEarth, 2015). Scientists and researches began to take blood and blubber samples from these marine mammals to assess the damage of the oil spill done. Traces of nickel and cadmium that can be found in crude oil (that had leaked out of the well) were found accumulated up to 5 times more in their blubber as compared to other sperm whales in other regions. In addition, of the total number of dolphins sampled in areas of high concentration of oil, 41% showed indications of inflammation, 22% had hypoglycaemia (glucose deficiency in the blood) and 19% had liver and biliary tract diseases(onEarth, 2015).These figures suggests that despite the fact that these dolphins had managed to pull through the initial phase of the oil spill, almost half of them have been affected, and further complications of these inflammations and diseases will ultimately affect the dolphins mortality rate. 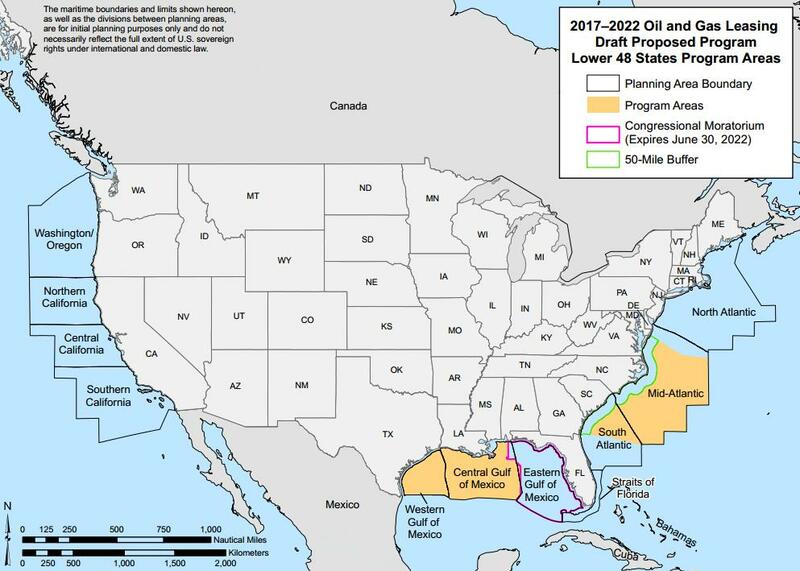 The location of the new leases (highlighted in yellow in the first figure above) for the years 2017 – 2022 spell trouble for the already endangered marine species in the Gulf and the Atlantic Ocean. To make things even worse, the harmful toxins from the oil spill hinders with reproduction and the development of sperm whale calves (onEarth, 2015). Being an endangered species, the presence of new offshore drills in these areas increases and heightens the vulnerability of these animals with average gestation periods of 10-18 months (Whalefacts.org, 2015). 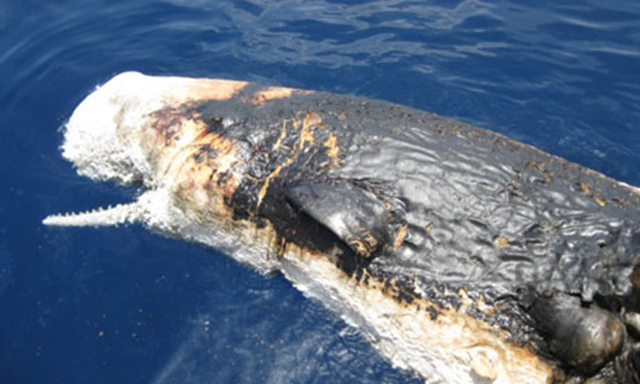 This means we cannot afford more major oil spill accidents such as the BP Deepwater Oil Spill until sufficient time has passed for sensitive cetacean populations to grow and recover from just a single accident. But yet again, no one can predict when the next oil spill accident can happen, will we be ready to go through the horrors of the BP Deepwater Horizon Oil Spill again? Graham, B., Reilly, W. K., Beinecke, F., Boesch, D. F., Garcia, T. D., Murray, C. A., & Ulmer, F. (2011). 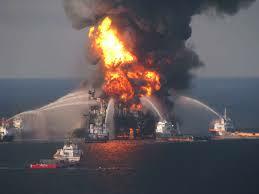 Deep Water: The Gulf Oil Disaster and the Future of Offshore Drilling. Report to the President, National Commission on the BP Deepwater Horizon Oil Spill and Offshore Drilling, Washington, DC (January 2011). Paquette, S., & Gutierrez, E. (2013). Deepwater Horizon Oil Spill. Rensselaer Polytechnic Institute. Air And Water Pollution Prevention And Control Engineering.